Celine realtor and property manager, here to assist you and make sure your journey to Las Vegas stay memorable. Las Vegas lovers or first timer perfect location to enjoy the shopping, shows, and superb service and entertainment that only Las Vegas has to offer! Very clean! Nice large space! We really enjoyed this room. Away from the hustle of Vegas but close enough to enjoy the strip. The room was super clean. The bed was comfortable. This will be our go to spot for all our Vegas trips! 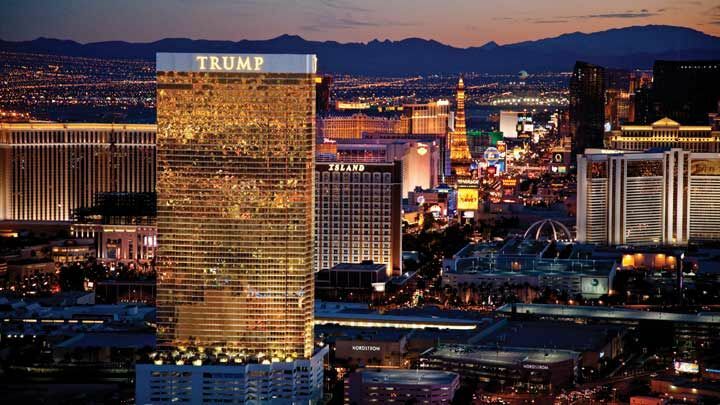 Trump Las Vegas provided high quality room, amenities, and service. We enjoyed being away from the casinos, and the pool area was relaxing with food and beverage available. The only negative was the shuttle service was limited and only offered two drop off locations. This hotel is fabulous. Very elegant and not so overwhelmed as other hotels nearer the strip. It was easy to check in. The room had a kitchen if needed. The pool was gigantic and food right there too. A mall is across the street if you want cheaper meals. The staff was friendly and helpful. Food at the restaurant in the lobby was delicious with a very attentive server. We dont gamble but enjoyed our stay. Check in with free valet was fast and simple. Fabulous location. Unit was well equipped and very modern. No smoky casino to walk through to get anywhere like a lot of strip properties. Welcome to Fabulous Las Vegas! Where the Best Food, Most Exciting Entertainment, and Greatest Shopping is all at your fingertips! The Trump International Tower has every Luxury Amenity you could want: First-Class Workout Facilities, Resort Pool, World-Re Known Spa. Whether you crave the excitement and nightlife of the Strip or a Trip into 2 of the World's Natural Wonders Zion and the Grand Canyon, Trump Tower is ready to serve you.